This website is operated by NextlevelA. Throughout the site, the terms “we”, “us” and “our” refer to NextlevelA. 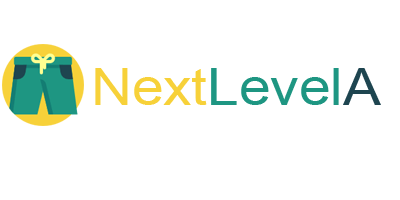 NextlevelA offers this website, including all information, tools and services available from this site to you, the user, conditioned upon your acceptance of all terms, conditions, policies and notices stated here. Please make sure that you have read and understood the Terms and Conditions before you place an order. All orders are subject to acceptance and availability. Products in your cart are not reserved and may be purchased by other customers until your payment is finalized. If your selection of products may be lost from the cart, you will be required to re-enter your selection of products. NextlevelA does not reserve items for future purchase. Prices are shown in USD and include taxes and fees. Prices do not include service, payment and delivery charges. NextlevelA reserves the right to change prices of the products. The prices of the products will, during the time of placing an order, be valid throughout the process. We however take reservations for typing errors. Our store is hosted on Shopify Inc. They provide NextlevelA with the online e-commerce platform that allows us to sell our products and services to you. Your data is stored through Shopify’s data storage, databases and the general Shopify application. They store your data on a secure server behind a firewall. Shopify includes an SSL certificate that uses industry standard 128 bit encryption technology. This is the same level of encryption used by large banks to keep your information secure. All shipments are sent by UPS. The order will be sent to the address you enter at the checkout. The shipping country is chosen at checkout. All prices, currencies, VAT, delivery times and delivery charges will be adjusted depending on the country you would like your items shipped to. NextlevelA will dispatch the approved orders as quickly as possible and in the order that they have been received. You will recieve a tracking link along with your shipment confirmation when your package leaves the warehouse. NOTE: We will not take any responsibility about the size if we made it as your request. In case of shipping the wrong size in comparison with the order we will follow the above policy. In no case shall dragontees, our directors, officers, employees, affiliates, agents, contractors, interns, suppliers, service providers or licensors be liable for any injury, loss, claim, or any direct, indirect, incidental, punitive, special, or consequential damages of any kind, including, without limitation lost profits, lost revenue, lost savings, loss of data, replacement costs, or any similar damages, whether based in contract, tort (including negligence), strict liability or otherwise, arising from your use of any of the service or any products procured using the service, or for any other claim related in any way to your use of the service or any product, including, but not limited to, any errors or omissions in any content, or any loss or damage of any kind incurred as a result of the use of the service or any content (or product) posted, transmitted, or otherwise made available via the service, even if advised of their possibility. Because some states or jurisdictions do not allow the exclusion or the limitation of liability for consequential or incidental damages, in such states or jurisdictions, our liability shall be limited to the maximum extent permitted by law. You agree to indemnify, defend and hold harmless teedragons and our parent, subsidiaries, affiliates, partners, officers, directors, agents, contractors, licensors, service providers, subcontractors, suppliers, interns and employees, harmless from any claim or demand, including reasonable attorneys’ fees, made by any third-party due to or arising out of your breach of these Terms And Conditions or the documents they incorporate by reference, or your violation of any law or the rights of a third-party.